This year, I found these marbled vellum envelopes and fell totally in love with them. I decided I had to get them and use them for a very special occasion. 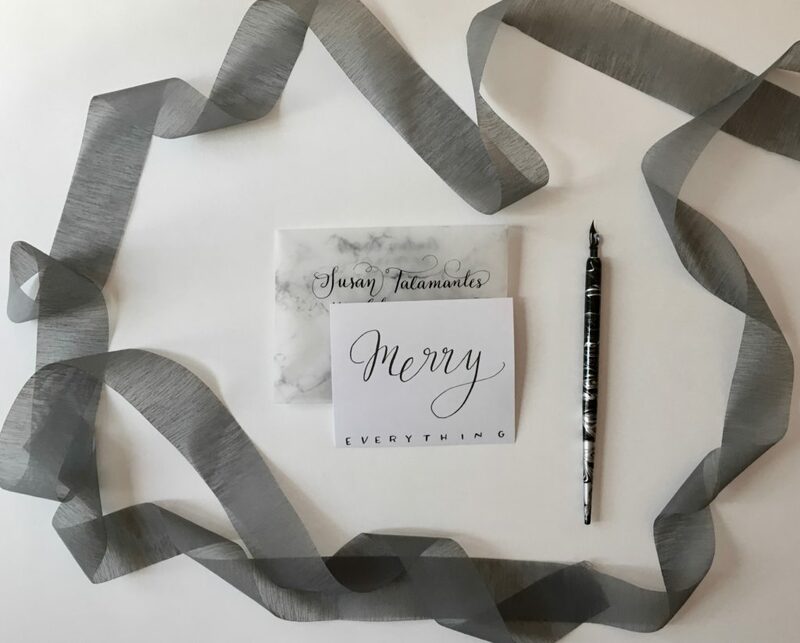 A hand-written note for the holidays to my special clients sounded like the perfect one! That’s how I created that “Merry everything” card and then I thought that I also wanted to share it with you, my friends and followers who read me and always encourage me with your comments! 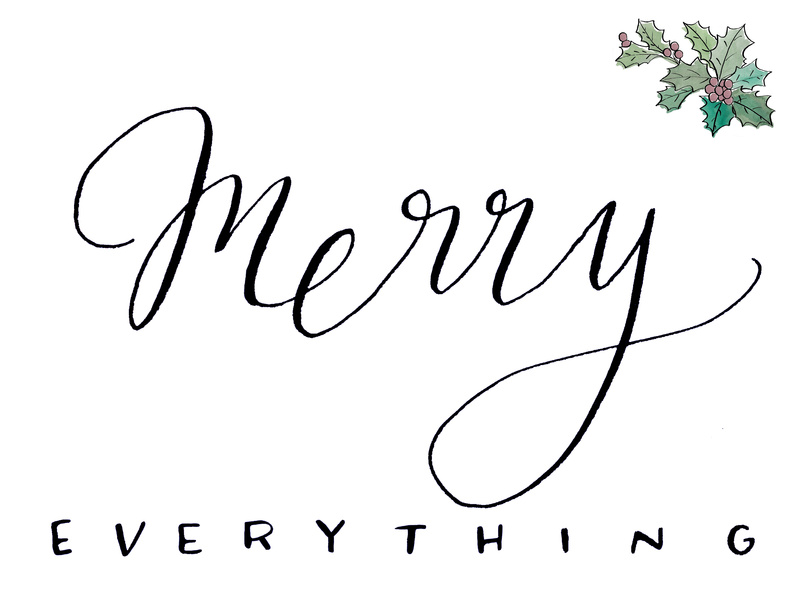 I made a slightly different version by adding the watercolors on the upper right corner and now, you can download this digital “Merry Everything” here. I hope you like it! Enjoy the season friends!